Get a $50 Voucher Towards the PFD of Your Choice! 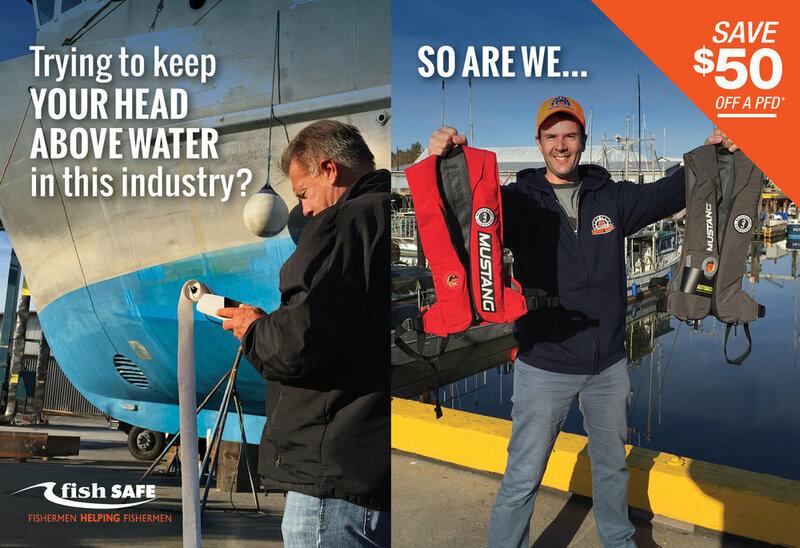 When BC commercial fishermen participate in our free, 1 day Safest Catch workshop (click here for details about the Safest Catch) participants will receive a $50 voucher towards the purchase of a PFD of their choice. For years the Transportation Safety Board (TSB) has emphasized the importance of PFDs. Behind stability related incidents, man overboard incidents are tragically the number one killer of commercial fishermen. Combining practical, vessel based safety training with essential safety equipment – like PFDs – just makes sense. If you fish commercially in BC, spread the good news and register today to qualify to get your $50 PFD voucher! STEP 5: Email your pictures to Fish Safe. Once verified, Fish Safe will send you a cheque for $50 within 30 days!